My boyfriend is a terrible cook. 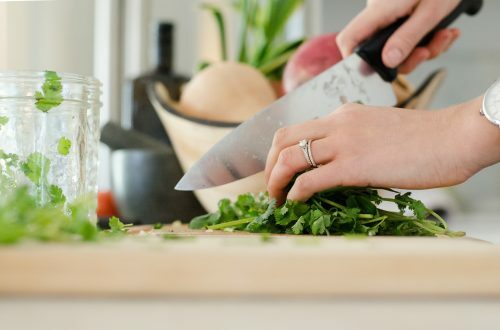 Usually guys have one or two signature dishes they can cook to woo a girl. In the whole three years we have been together, my boyfriend has prepared me two meals, both being breakfast. He can make fried eggs, and toast with cheese, that is his specialty. I wanted meal prep to be fun, so I forced him to browse through my Pinterest and find recipes that interest him. 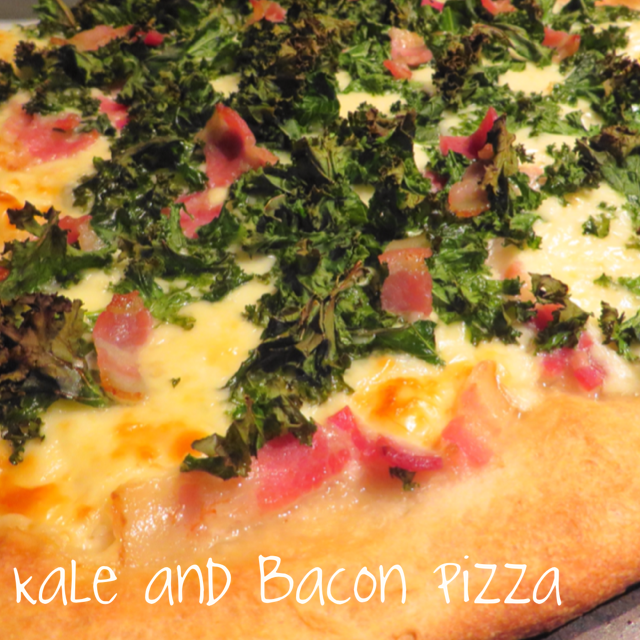 We had a pizza night and tried making this amazing Garlicky Kale and Bacon Pizza from Just a Taste. It was so good, that it has now become a staple in my life. I have simplified the recipe because I am just that lazy. Heat oven to 400 degrees, throw a cooking sheet upside down into the oven to heat up as well (if you use a pizza rock skip this step). Wash and clean kale. Rip the leaves off the spine and chop into strips. Dice shallots and bacon into small pieces. 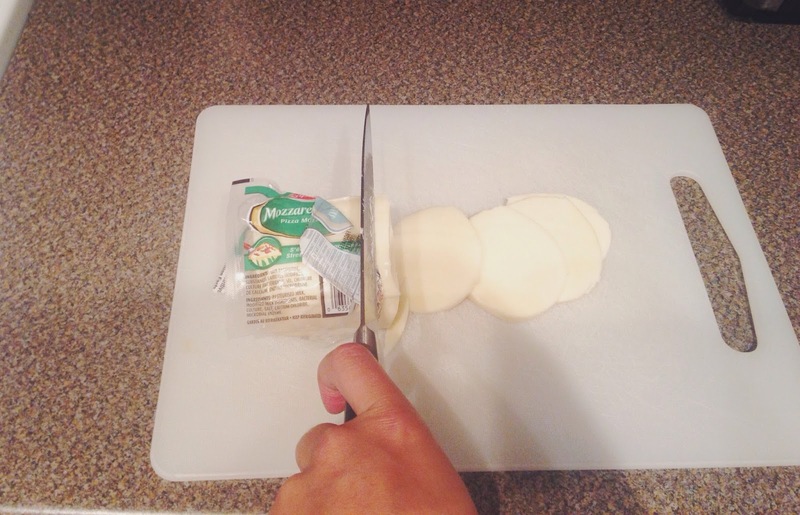 Slice mozzarella into 1/2 inch slices. One the oven is heated, pull out the baking sheet. Sprinkle some cornmeal on the base of the upside down baking sheet. Spread Pillsbury over baking sheet. I prefer a thinner crust so I spread it until it is only 2 – 3 cm thick. Since the baking sheet is hot, it should be easy to drape the dough over. 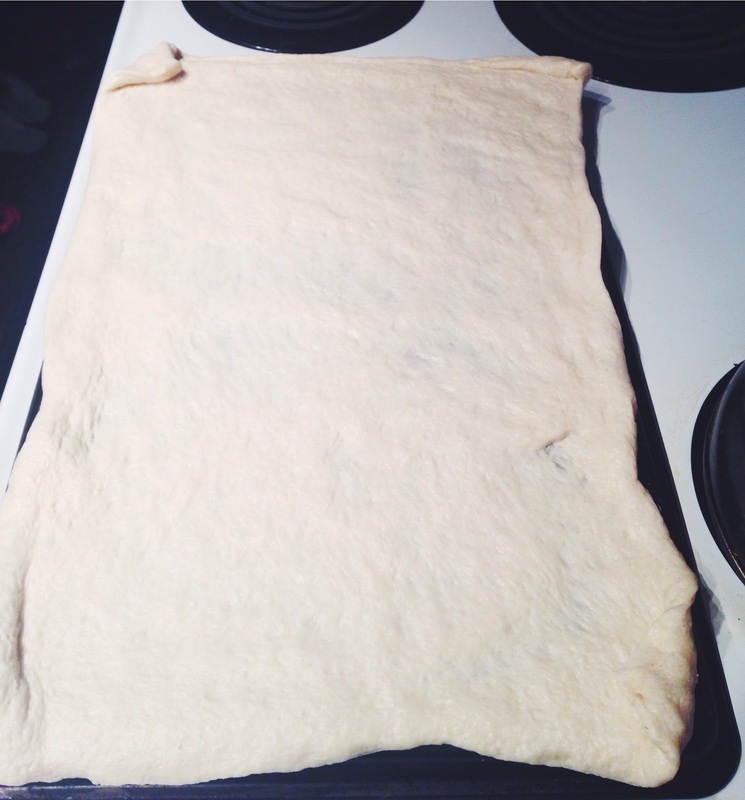 Put dough in the oven for 4 – 5 minutes. Remove dough from the oven, lay the slices of mozzarella on the dough (in place of tomato sauce). Add the kale on top and then sprinkle the bacon and the shallots on. I find the bacon grease is enough, but if you would prefer, before placing the kale and shallots on the pizza you can toss it in olive oil. Cook in oven for 8 – 10 minutes. Turn the light on just to keep on eye on it. Pizza is ready when the cheese has melted and the bacon looks cook. 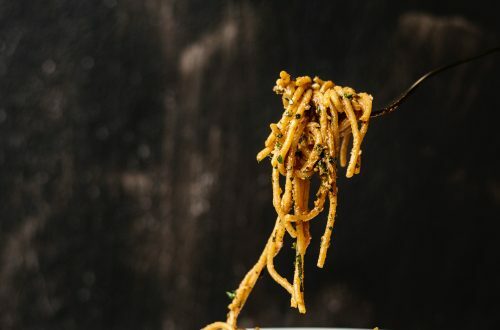 This is such an easy recipe, with very little prep time. I switched out the thick slices of bacon, so I don’t have to fry the bacon before hand. The regular bacon is cooked by the time the pizza is done. 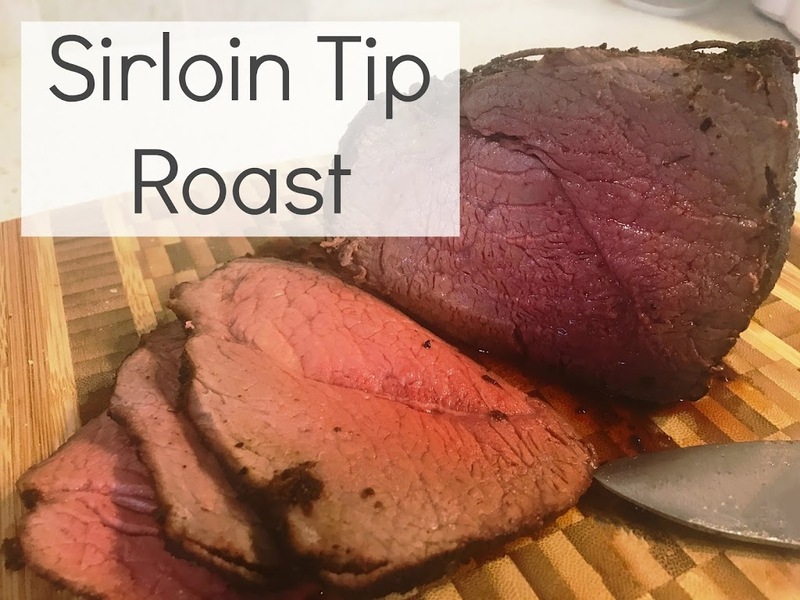 If you could prefer you can stick to the original recipe and use the thick slices. I just wanted to streamline the recipe. I prefer shallots over onions because find that they are sweeter and they cook down easier, it is up to your personal preferences. The kale also cooks down, so if you feel like there is a lot it tends to shrink up once it is cooked. I have not had a problem with the kale burning if it is not tossed in oil, because usually the bacon grease helps with this, but as a precaution you can. Hope you enjoy this delicious pizza!